The Shark started last night in the second game verse his favorite snack... While he didn't get a hit, he did get hit by a pitch and scored a run. His most important play of the game came in the ninth after the Nats took the lead in the top of the inning. 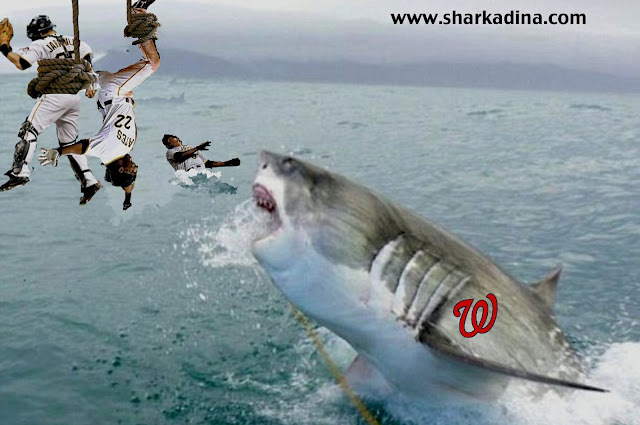 Using his Mako Shark speed, he cut off a Russell Martin hit in the gap and gunned him down at second base. The play kept the pesky Pirates off the basepaths and sealed the Nats 5-4 win. After the game, Pirates manager Clint Hurdle punished his least favorite player by dropping them off at Roger Bernadina's from door. 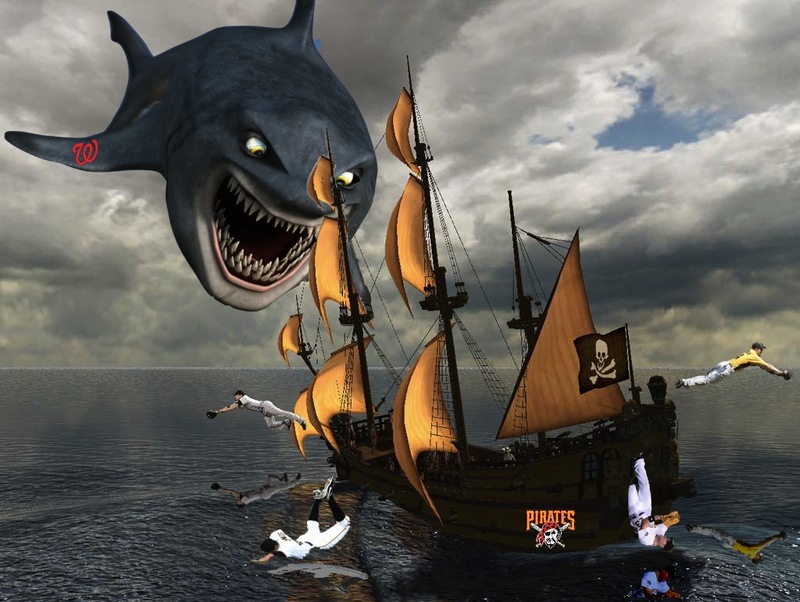 The above picture was snapped moments before the Shark's post game protein-laced meal.